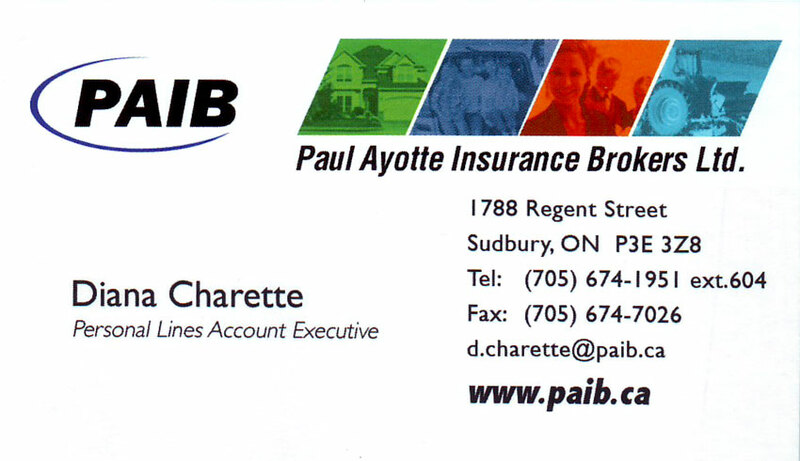 At Paul Ayotte Insurance Brokers Ltd. : We've Got You Covered! Paul Ayotte Insurance Brokers Ltd. Is a family owned and operated company that provides a full array of insurance products to clients. PAIB is a well known, respected and is a significant player in Northern Ontario since they opened their first office in Cochrane in 1974. Over the years, the business has grown and now has five locations to serve you better. Home insurance is an essential part in the home buying process. Not all home packages are created equal, and that's why it is important to include your insurance broker when buying your home. We can help guide you through the insurance process, and ensure that you are properly covered. Auto insurance can cover a number of road worthy vehicles. Our brokers can help you choose the most appropriate coverage to cover any vehicle from your first car to your classic car and everything in between. Your business is as unique as you are. 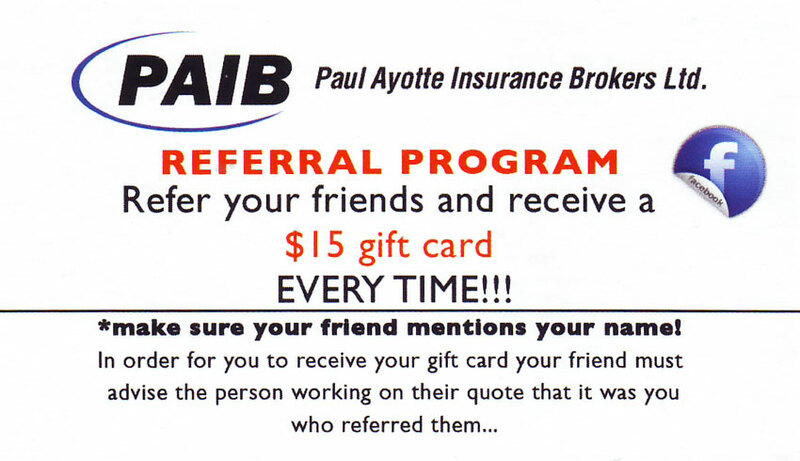 Your insurance is no different. We can customize your commercial insurance to meet all your needs, and give you peace of mind that you are covered. No matter your business size, we can offer packages for vehicles, property, liability and everything in between. Farming is a way of life in the north, and involves large investments in buildings and equipment. Those investments need to be protected from losses that can arise which are out of your control. We offer packages to cover you from these losses. No matter the size of farm, we are here to help. What fun would living in the north be if you didn’t have the toys to go with it? We offer comprehensive insurance coverage for your cottage, motor home, ATV, snow machine, boat or motorcycle, just to name a few. There are also discounts available for packaging your auto with your recreational vehicles, which saves you more money overall. Whether you are looking for Automobile, Recreational Vehicle, Home, Cottage,Tenant, Boat Insurance, Commercial Auto, Liability, or Business Insurance, at Paul Ayotte Insurance Brokers Ltd our team of professionals are here to help! 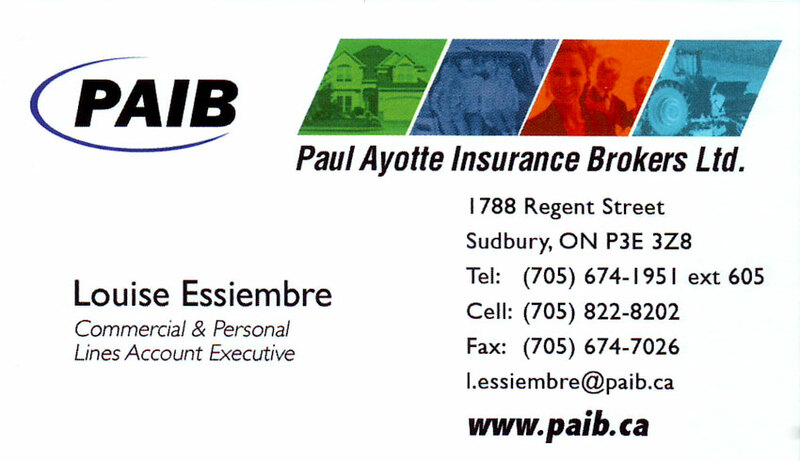 Paul Ayotte Insurance Brokers, General Insurance, Insurance Brokers & Agents, Insurance Consultants, in Sudbury Ontario.